Placed in a closed casket, the remains of slain Senior Insp. Ryan Pabalinas was carried by his colleagues from the PNP-Special Action Force while it was being brought to Camp Fermin Lira in General Santos City upon arrival in the airport from Camp Bagong Diwa in Bicutan, Taguig Saturday. 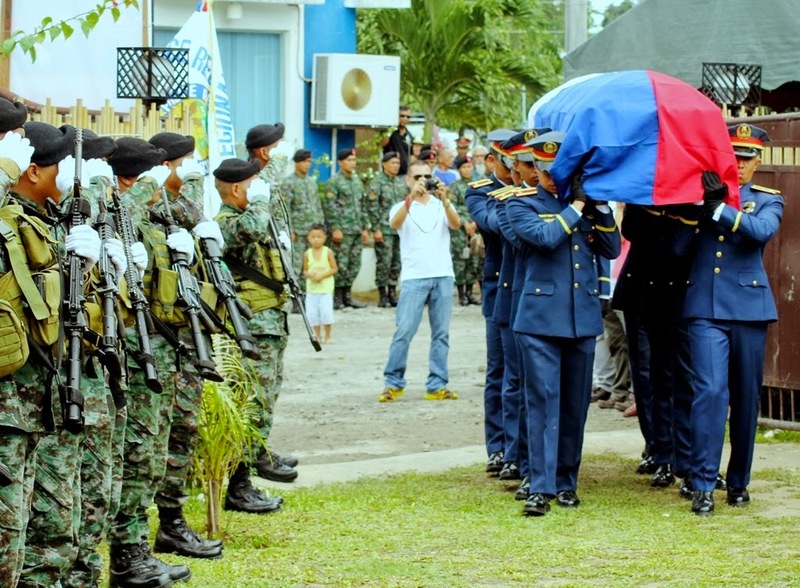 Pabalinas was among the 44 SAF members killed in an encounter with Moro rebels in Mamasapano, Maguindanao last Sunday after arresting Malaysian terrorist Zulkifli Bin Hir alais Marwan.